Waiting on WoW, Students Gaming With SIMS 3 on the iPod Touch! It’s been a bit since my last update, so I thought I’d share what’s going on with the WoWinSchool Project and share another project that I’m working on. I’m still waiting on the State to release EETT funds so that we can begin purchasing software and accounts for the students in the WoWinSchool Project. As soon as that funding comes through (and it should be any day now), the project will begin moving ahead, full steam! Keep an eye on the project Wiki for updates. 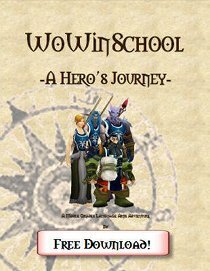 In the mean time, check out the podcast I and other WoW-playing educators did with Rik at RezEd – http://www.rezed.org/page/rezed-podcast-40-discussions. Also, be on the lookout for an article on the project in THE Journal at some point soon. 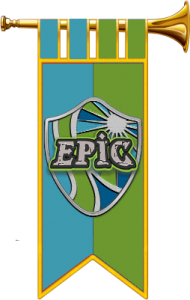 So, let me share with you another project I’m involved in that involves students and gaming in the classroom. 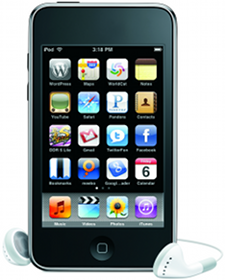 One of our middle schools, Cape Fear Middle, purchased a mobile lab of iPod Touches. It’s awesome. An idea struck me, based on the discussion that Henry Jenkins had about the Nickel and Dimed Challenge for SIMS 2. “Why don’t we have students play SIMS 3, and do similar project?” So, Craig Lawson, 7th-Grade language arts teacher, is doing just that with his students. Students are using the SIMS 3 on the iPod Touch to learn about the elements of fiction. Their experiences playing the game are serving as a foundation and inspiration for their writing. Students began by writing about the characteristics of their SIM: traits, motivations, and desires. They then switched with their partner and after playing their partner’s SIM, trying to determine that SIM’s characteristics. Today, they began writing stories about their SIM either in 1st or 3rd-person point of view or a game manual if they drew (out of a hat) 2nd-person point of view. We’re also planning to have students create web-comics (all on the iPod Touch) telling stories about their SIM. Later this year, the social studies teacher will be using Civilization Revolution to teach some of the concepts in that curriculum. 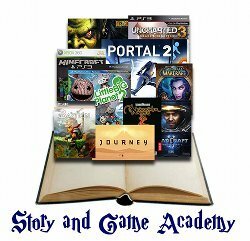 All of this is being documented/shared on the wiki: http://ipodgamesforlearning.pbworks.com. There are lessons, hardware/software information, student videos, and more there.